Rep. Alexandria Ocasio-Cortez has proposed hiking the top marginal tax rate to fund green energy investment. After years of trying to demolish former President Barack Obama's prized law, GOP leaders still lack the votes to succeed. Who are the likely contenders to replace Paul Ryan as House speaker? Some say it's a fight between West and South. Or a battle for President Donald Trump's affections. Or a test of who can woo conservatives. A debate over House Speaker Paul Ryan's career and legacy ramped up Wednesday, after he announced his plan to retire from Congress in January. 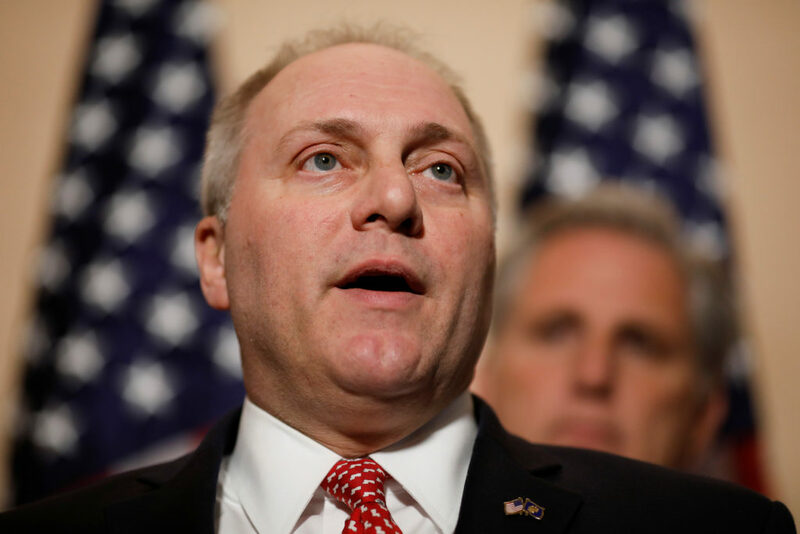 A spokeswoman for House Majority Whip Steve Scalise says the Louisiana Republican plans to throw out the first pitch before Friday night's playoff game between the Washington Nationals and Chicago Cubs.